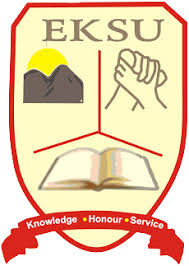 This is to inform all the graduands of the Ekiti State University (EKSU), that the management of the institution has released the procedure for the collection of academic robes and invitation cards for the convocation ceremony. Read Also: EKSU 23rd Convocation Ceremony Programme of Events. (v) Granduands who have completed their clearance will be eligible to collect their certificates during convocation with the payment of Fifteen Thousand Naira (N15,000) only. The payment of fifteen thousand naira (N15,000) is a concession for those who attend the convocation ceremonies only. The amount will revert to N25,000 after the Convocation Ceremonies.